Amy practices in the areas of corporate finance, corporate trust, financial restructuring, business bankruptcy and litigation. 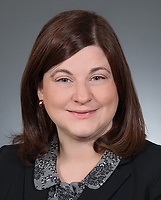 She represents banks, other lenders, investors and indenture trustees in a wide range of complex asset-backed and unsecured financings and corporate debt restructurings. She has experience in debt transactions, aircraft sales and leases, both public and private asset securitizations, real estate project financings and other structured transactions. Amy has experience in UCC matters, advising lenders on perfection and remedial issues with respect to a variety of collateral types. She also regularly provides advice on state and federal regulations governing financial institutions. Amy is also a member of the firm's Hiring Committee and Professional Responsibility Committee.